To all the engineers out there...you will understand and nod. To the alloy welders.....tug your apron and sigh. Some people just can't be told. There you go Gav, as if by magic. a Zues Book, French fag packet and hope. and this allowed the part assembly of the swinging arm. 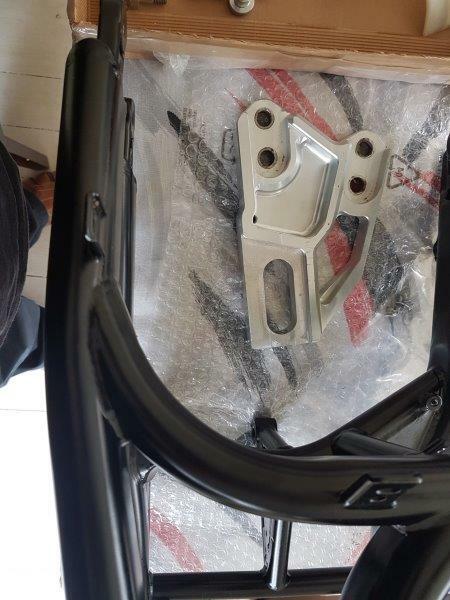 The OEM frame and alloy side plates came with the original frame purchase. down to fit the engine mounted swinging arm spindle. used it spare hand to hold the copper mallet and drive the bearings in!! The final bearing and assembly were cable tied to stop them falling out. Even more shaningains will be needed to fit the arm assembly to the engine. But at least it is one managable part. Looking good in its Black and Silver....with top shock adjuster. a good indication to the frame choice. style 5 spoke wheels £300 all in...including rear disc and sprocket carrier. 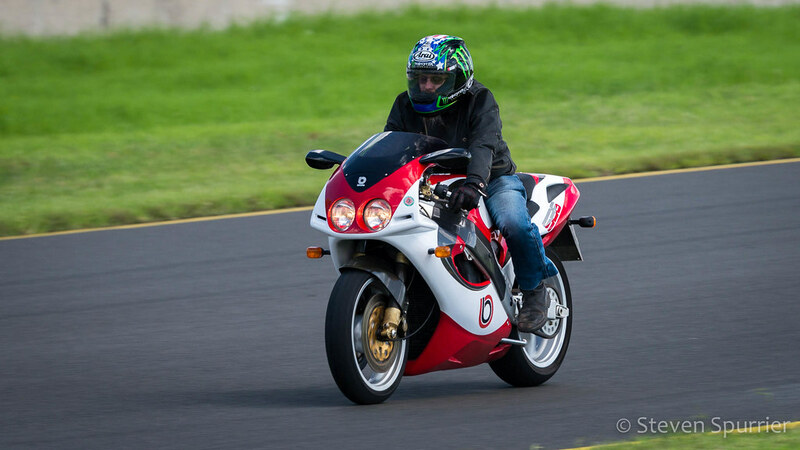 Great project Gavin, makes my DB2 look like a moped... Approximately how many bhp are you expecting from this beast, and more to the point, who the hell is going to insure it??? Keep up the good work, you're inspiring us all to be a bit more crazy. Yes, loving this thread Gavin. Great work mate. (or at least they used to) in making sure that the brakes matched the engine power and other safety features were present...that and it being properly assembled. The building a Bimota based thing, is never easy and the wrong turns you take ....thinking that the factory did this ....only to find that they did that, are really frustrating. But as part of the biking pleasure comes not just from riding them, but with tinkering with them....I 'll continue. Having some issues resizing and uploading images (currently using Flickr) I can't keep asking others to hold images for me. As soon as I have cracked it ...more images will follow. You are to me !! And the sb6 does look amazing !!! But then I think a few Bimota's of that era have timeless styling , just don't seem to date. Change a few lights here and there and they would pass as a modern bike . Timeless beauties .